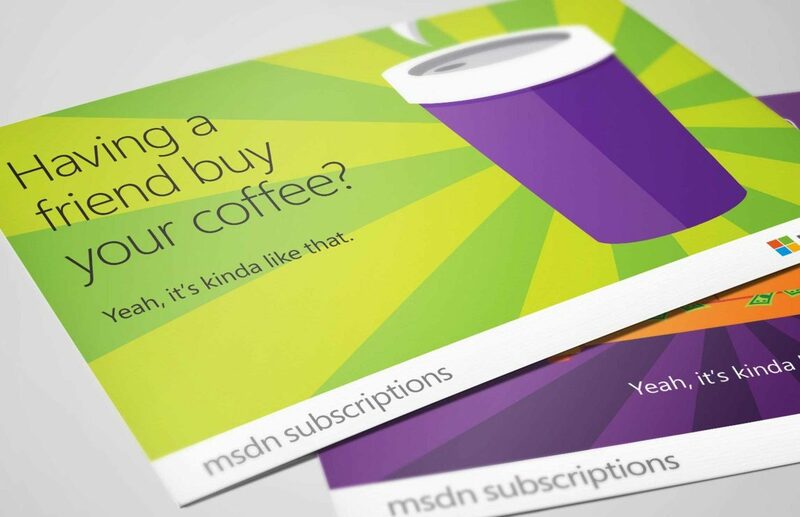 MSDN subscriptions come with a host a built-in benefits, but many subscribers weren’t taking advantage of them. 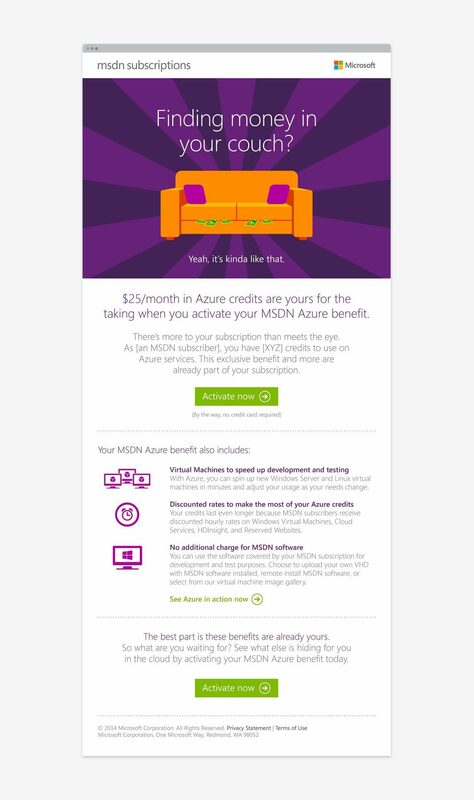 We were tasked with creating a campaign to build awareness and drive activations of the MSDN Azure benefit, which gives subscribers “credits”—literally free money—that they can use for project hosting or a range of other paid services. I mean, free money? That shouldn’t be hard to sell. Our creative concept revolved around those delightful little moments in life when—surprise!—you get something for nothing… in this case because it’s already part of your subscription. Built around iconographic illustrations of seemingly mundane things like couches and cups of coffee, the objects become the heroes with radiating color and clever, situational copy lines. 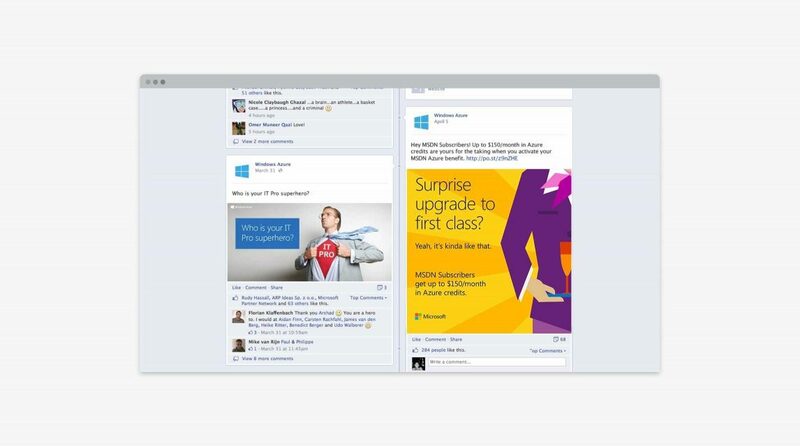 The campaign had multiple phases, with unique creative for each and elements that included primarily digital executions (email, banners and social) and also a series of good ol’ fashioned postcards. Free money? That shouldn’t be hard to sell.